You are here: Home / Recipes / Chipotle Lime Almonds + A Backyard Makeover Contest! Chipotle Lime Almonds + A Backyard Makeover Contest! 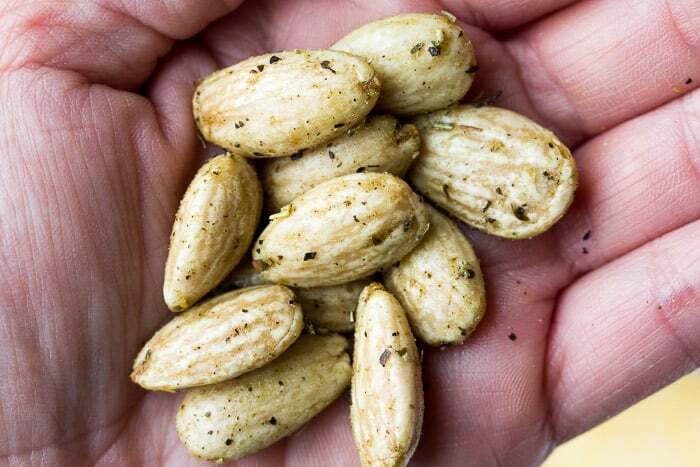 These Chipotle Lime Almonds are an easy way to spice up snack time! While we snack all your long, we definitely do more so in the summer! Snacks that are light and tasty for spending the day outdoors, or as appetizers for summer entertaining are a must! 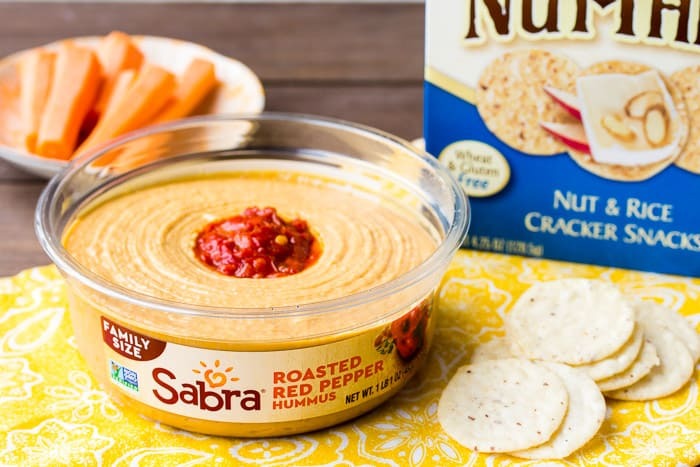 We love options like hummus, fresh veggies, fruit, crackers, and almonds! 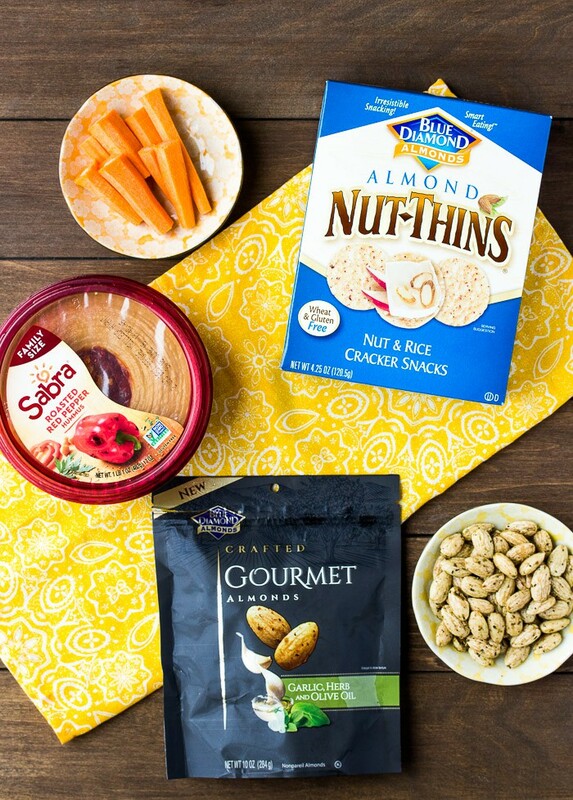 Since the season is already off to a fun start with plenty of parties coming up, I went to Walmart and picked up Blue Diamond Almond Nut-Thins, Gourmet Almonds, and Sabra Hummus (the Roasted Red Pepper flavor is perfect for summer!) to start to prepare. Every time I buy hummus, I’m reminded of how my fiancé was afraid to try it because he was convinced he wouldn’t like it. Now he eats more than I do, and I eat a lot! We enjoy it with crackers, chips, fresh vegetables, on sandwiches, and you can even dip chicken wings in it! That’s just the beginning! 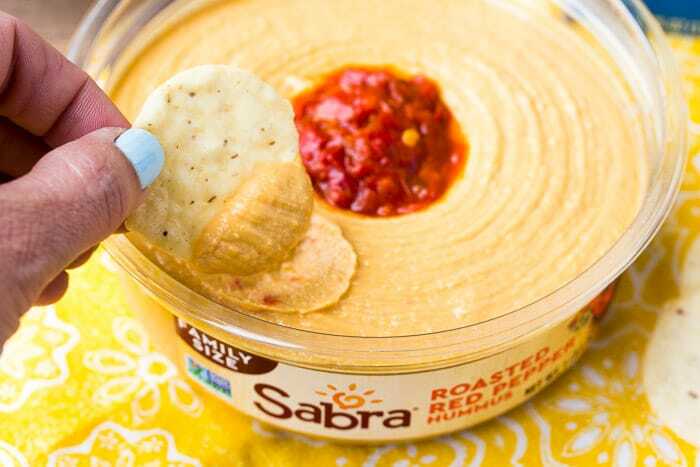 There are so many ways you can enjoy Sabra Hummus! Nut-Thins are wheat and gluten free and super crispy and crunchy! They are actually made with real Blue Diamond Almonds and don’t contain any artificial ingredients. They are delicious with dips, hummus, or toppings! 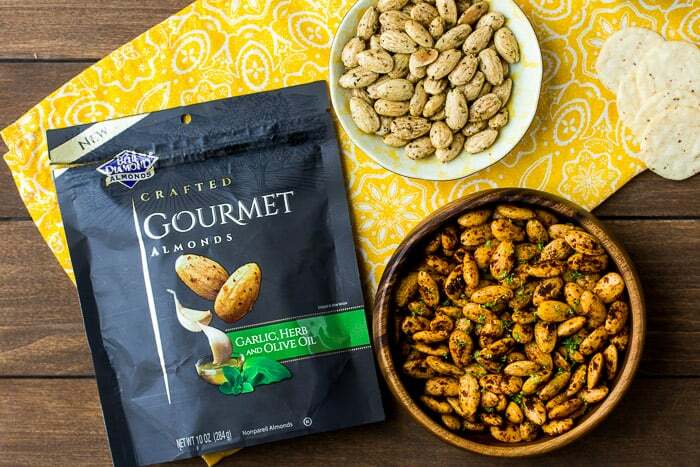 Blue Diamond Gourmet Almonds are made with high-quality Nonpareil almonds and seasoned to perfection! They add a premium touch for special occasions and when entertaining your friends and family. The Garlic, Herb, and Olive Oil variety is my favorite ! I love the chef-inspired seasonings and while they are delicious on their own, I’m going to share with you how I easily add a bit of summer-inspired spice to them for those that like a little more heat! Zest and juice a lime. Add the Blue Diamond Garlic, Herb, and Olive Oil Gourmet Almonds and the chipotle powder. Stir constantly until evenly coated. Stir in the lime juice and cook for a minute or two until well coated and warm. Transfer to a plate to cool. Once cool, stir in the lime zest. Place in a serving bowl and enjoy! Walmart carries all of our favorite snacks and this year they want you to Upgrade Your Summer at Walmart! They are making it even more fun by holding a Backyard Makeover contest which you can enter HERE! Visit the Upgrade Your Summer website to enter for a change to win in the Backyard Makeover contest! 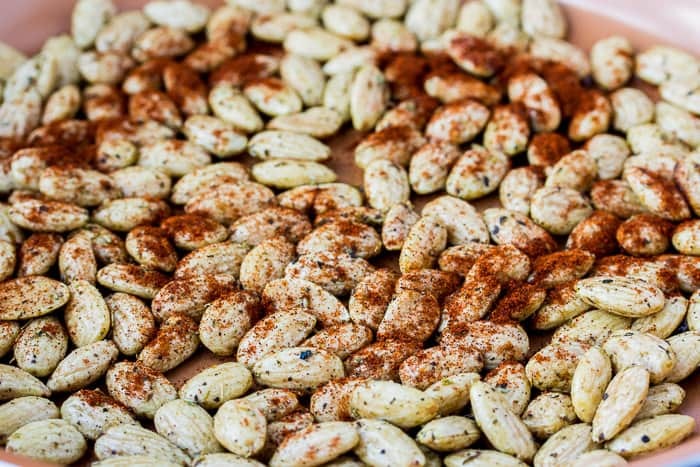 Love this Chipotle Lime Almonds recipe? Follow us on Pinterest, Instagram, and Facebook for more! 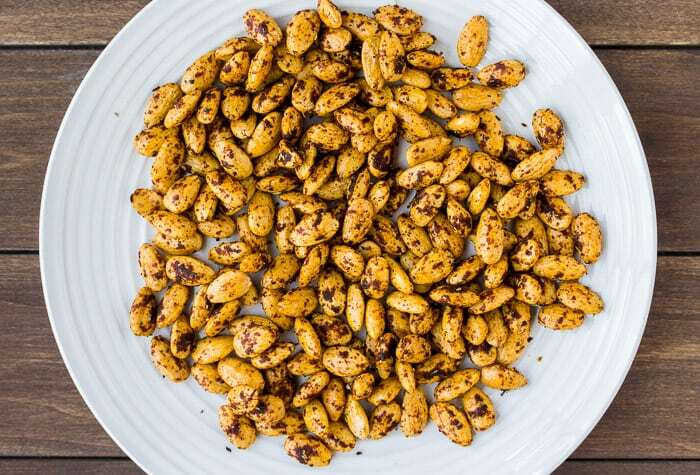 These Chipotle Lime Almonds are an easy way to spice up snack time! This recipe takes only a few minutes and is a great appetizer or snack for entertaining! Add the almonds and chipotle powder to a dry skillet over medium heat. Stir constantly until evenly coated. Stir in the lime juice and continue to cook for 1-2 more minutes. Transfer to a plate to cool. Once cooled, sprinkle on and mix in the lime zest. Serve. I love the chipotle and lime tossed almonds. This is such a delicious idea for snacks and appetizers..definitely giving this a try! What a creative idea to add some zing to almonds. Almonds are a must have in my house and I can’t wait to give these a try .. such a great idea to add to salads!! 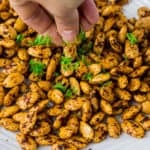 We love nuts for snacks so I usually keep a bowl of roasted nuts on hand for the kids to eat. This chipotle and lime will be a perfect snack for me. I love adding a bit of something to the nuts for me. Can’t wait to try. Yum! Haha – this is a great trick to keep some for yourself! We love to snack on nuts — especially almonds. They are so good for you and it doesn’t take too many of them to totally satisfy!! Now, those flavors are calling to me. Chipotle lime — that can’t get any better. Can’t wait to give them a try. Thanks Marisa! Hope you love them! I love almonds, but have never tried them with this flavour. Sounds like a great snack for BBA parties. I have had that delicoius hummus….in fact we have some in the fridge right now. My kids love almonds and I am sure they will also love the Chipotle lime flavored ones! !And I love the fact that this can be made in a skillet instead of baking! 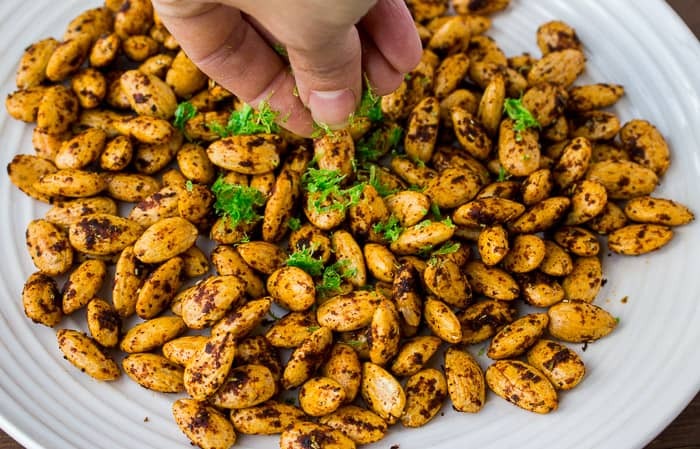 Wow loving your Chipotle Lime Almonds look so good and great idea to spice them up and pair with hummus and other goodies. The giveaway looks fantastic many cool prizes, congrats! Almonds are a staple in our house, and I am constantly trying to find new ways to serve them at parties, so this is great!. Love the chipotle lime flavor combo you have here! We always have them at parties too! Thanks Marlynn! Hope you love them too!